Local employers shared similar problem: not enough housing for the workers they needed. So they raised the money and had it built themselves. Grow Perham has financed the construction of 10 apartment buildings in Perham offering a total of 156 apartments and housing over 220 people. In 2007, a group of Perham business owners and corporate executive got together to talk about housing. They faced similar issues. Each had a desire to grow their businesses by hiring more workers and expanding their reach, but a lack of available housing in and near Perham was holding them back. The problem was theirs, and they would benefit from any resolution to the problem. They quickly recognized their own self-interest and saw the potential to be part of the solution. David Schornack, director of sales and business development for Arvig Enterprises, told an audience in Crookston at the Northwest Minnesota Housing Summit in November 2016 that he challenged those at the table to put their money where their mouth was. He said he was in for $10,000, how about you? He went around the table and around the room, and every executive present agreed to commit the same. They raised $600,000 in one fell swoop that day, enough to get serious about investing in new multifamily apartments in Perham. The group called themselves “Grow Perham.” They started small, opening just one 14-unit apartment complex in 2008, investing $297,000 of their own capital in the $1.02 million development. The apartment complex had two 1-bedroom units, eight 2-bedroom units, and four 3-bedroom units, all of which had garages. Within three months, the apartment complex was fully rented. They didn’t stop there. They opened their second 14-unit building in 2009. Their third in 2011. All told, they’ve constructed ten separate apartment buildings across Perham, adding 156 apartments to the community. Together over 220 residents call these apartments home. Schornack says he and his partners in Grow Perham were surprised to find that many of the apartments appealed to teachers, professionals, as well as seniors, resulting in a rental mix they hadn’t anticipated. They found that 1-bedroom apartments were the most sought after size. They had produced 24 efficiencies in 2015 but those turned out to be harder to rent, as people reported they wanted more room than efficiencies offered. The apartments are available at market rate; these are not built with state subsidy and do not have income restrictions. “Our rents are market rate for Perham but not for Fargo or elsewhere,” Schornack commented. 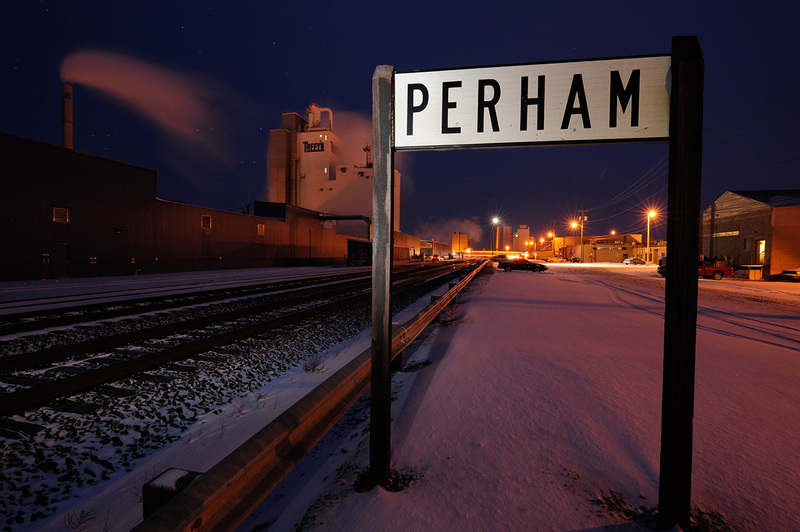 The partners have found that the people living in the apartments are by and large new to Perham; they weren’t living in Perham before. Prior to their moves they had been facing long commutes or had recently taken new jobs in Perham. Schornack says the community would need to produce 200 apartments a year for the next five years in order to keep up with the demand. Schornack underscored the message that employers have to be involved; they don’t have a choice. If your community has a housing problem, you can’t wait a year for state funding to come through. Grow Perham went ahead anyway, without guarantee of outside support. “You need to have skin in the game or it’s a hollow discussion,” he said. For more information, download David Schornack’s presentation.